At Absolute, we have always been very conscious of our environment, and do what we can to lower our carbon footprint as a business, so that we can help sustain a safe and happy environment for generations to come. In keeping with that philosophy, we have just invested in the first of its kind, Presstek 34DI Eco-UV printing machine. As you can tell by the name, it is an environmentally friendly machine which uses less energy and reduces the amount of wastage in the printing process. This machine opens up new possibilities for creating unique, eye-catching marketing campaigns and package solutions. It has the ability to print on a range of weird and wonderful materials. Perhaps now you can put a plan in place for that “out of the box” promotional idea? Excuse the pun! The instant drying ability provided by the Eco-UV also results in a higher quality finish. 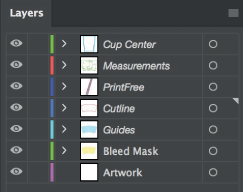 On top of that, this machine prints up to 300 LPI in comparison to an industry standard of 150 LPI which means that fine artwork print is now possible. What’s more, the DI waterless printing provides higher quality colour with higher ink densities that expand the colour gamut and produce more saturated colour. I promise that’s the only technical spiel I’ll do! If you are keen to learn more about this machine and what we can do for your business, please contact us to arrange a live demonstration.